Delivering pure entertainment and a fascinating insight into the world of professional golf, Gordon Sherry is an accomplished after dinner speaker. He tailors the speech to suit the audience, whether it is relaxed, fun gathering or a motivational seminar. Audiences cannot help but be transfixed by Gordon, who at 6ft 8 is the tallest man to ever play in the US Masters. 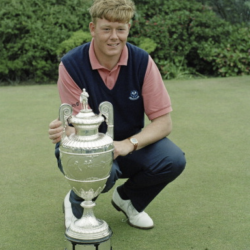 Scottish golfer Gordon Sherry uses his career experience to entertain as he talks about his journey to the top with anecdotes about many of the stars he played alongside - Woods, Watson, Nicklaus, Paler, Player and many more. Mixing facts with humour, Gordon has become one of the best golfing after dinner speakers on the circuit. 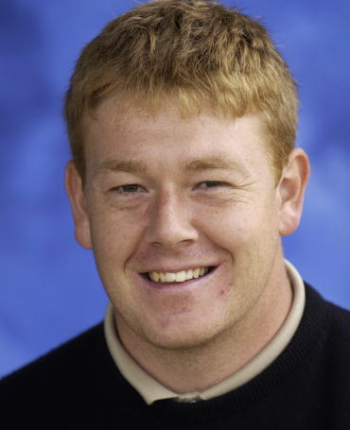 As a former Amateur Champion and now professional for more than 20 years, Gordon has the experience of playing in major tournaments, playing with the world's top players and has worked with golf's best coaches. 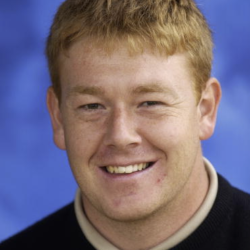 Gordon has a philosophy that guides every aspect of his golf tuition, mentoring and coaching activities. "Quite simply there is more to playing top level sport than working on technique." 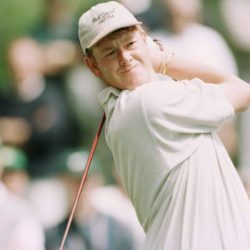 His approach encompasses many areas that lead to a consistent high performance, including: mental toughness, swing and short game technique, putting philosophy, golf fitness, course management, practice regimes and tournament preparation.